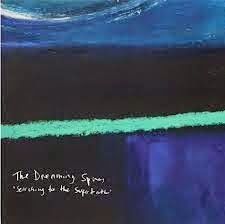 This album had its dawning with me back in October 2013 when The Dreaming Spires introduced the track ‘Dusty in Memphis’ during their support slot for Danny and the Champions of the World in Birmingham. Pouring out from the stage with spine tingling emotion, this mini epic possessing the most memorable of chorus tags permanently etched on the memory from first listen and has now surfaced in full grandeur as the centre-piece on the band’s second album SEARCHING FOR THE SUPERTRUTH. However far from dominating the record, it emerges as a gateway to what The Dreaming Spires do best and guides you on a wanderlust tour fuelled by the finest of homespun indie, soulful Americana and shamelessly upfront alt-country rock. The Dreaming Spires are organically the Bennett brothers, Robin and Joe, alongside regular drummer Jamie Dawson and an assortment of guest players. Amongst these include ‘Free Jazz’ Geoff Widdowson on sax, like the brothers an honorary ‘Champion of the World’, and Jackie Oates adding violin. Once again the album is released on Clubhouse Records, a label punching way above its weight. They certainly know their music and teaming up with The Dreaming Spires encompasses their ethos of bridging the gap between classic British new wave and country tinged Americana. This 10 track-47 minute long release effortlessly moves through the gears embracing racing guitars, brass, keyboards and steel, all in a haze of lyrical brilliance and melting melodies. The pen of Robin has been the source of all ten songs, either from a solo or collaborative perspective, and they mix well with a sound often wandering into psychedelic territory while spilling out of the Oxfordshire countryside and heading west. Accusations of The Dreaming Spires spiralling into a late 60s and 70s retro mode are proudly upheld and they expertly capture the mood of an iconic past with well-balanced vocals enticing you to drift with them on their journey, far from aimlessly, veering towards the west coast. Tracks such as the hypnotic ‘Strange Glue’, the wallowing ‘We Used to Have Parties’ and the nostalgic ‘Easy Rider’ play their part perfectly accompanying you on this voyage of musical discovery. Both Joe and Robin work wonders on creating such an atmospheric soundtrack with softly induced sublime lap steel adding a seam of elegance to a number of tracks. Rousing and tender are contrasting emotions emanating from this record with the storming opener ‘Still Believe in You’ rampantly falling into the former category adorned with a cracking chorus. Album closer, a 7 minute long protracted finale titled ‘So Pretty’ combines soft vibes with a trance-like state to underpin the record with a firm substance. Title track ‘Searching for the Supertruth’ epitomises the mystical qualities of the record and whether they find it or not can be discovered in multiples of listens that rarely strain the ear. Likewise the delightful harmonies that decorate ‘If I Didn’t Know You’ resonate with pure aural pleasure leaving the final slots for the short soulful strands found in ‘When the Magic Comes’ and the stripped back acoustic intro to ‘All Kinds of People’. From start to finish this record nourishes any appetite for Anglo-Americana and sets out a clear case for being one of the prime candidates for UK alt-country album of the year, even as we barely hit March. The final word on this rock n’ soul extravaganza under the guise of SEARCHING FOR THE SUPERTRUTH lies with the belief that finding ‘Dusty in Memphis’ is probably the answer and only then ‘you know we’ve got soul’.